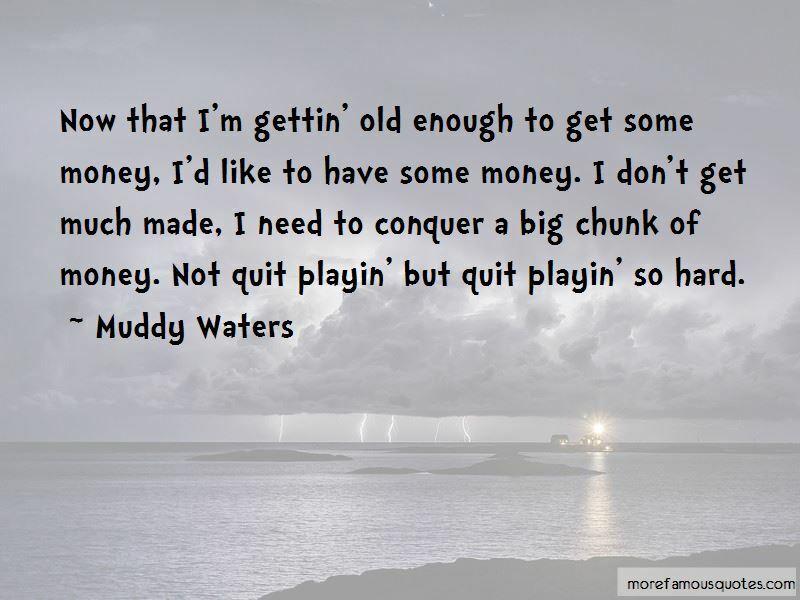 Enjoy the top 38 famous quotes, sayings and quotations by Muddy Waters. The blues had a baby and they called it rock and roll. At night in the country, you'd be surprised how that music carries. You could hear my guitar way before you get to the house, and you could hear the peoples hollerin' and screamin'. All the kids made their own git-tars. Made mine out of a box and bit of stick for a neck. Couldn't do much with it, but that's how you learn. The blacks have their parties, hustle a little liquor, get some things together, and I used to play for those peoples. They'd come get me on time, but they wouldn't bring me back on time ... Done picked cotton all day, play all night long, then pick cotton all day the next day before I could get a chance to sleep. The thing about San Francisco is that it has this kind of magical quality. I got that first record out, it came out in '47 ... Then my name began to ring around. I began to take over. From that point, I tell you, Chicago was in my hand, all the more time that those guys had to listen to me. 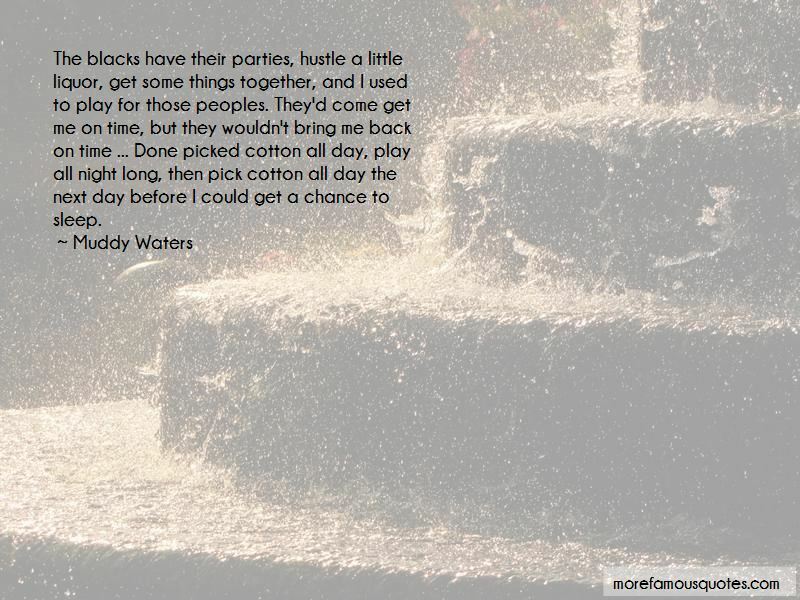 Want to see more pictures of Muddy Waters quotes? 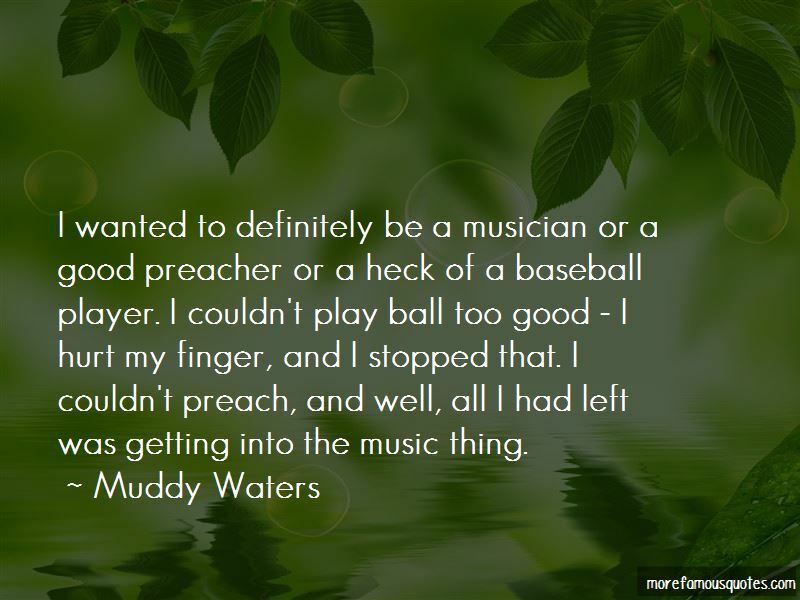 Click on image of Muddy Waters quotes to view full size.